News | Judd Wire Inc.
We are pleased to announce that Mr. Martin Daniell has joined Judd Wire, Inc. as Vice President of Sales and Marketing. We are pleased to announce that Mr. Kenji (Ken) Arai has joined Judd Wire, Inc. as Executive Vice President. 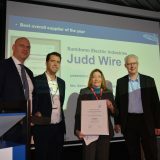 Judd Wire, Inc., announced that it was recognized by Fokker Elmo B.V. as their best overall supplier of the year for 2017. 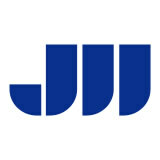 At Judd Wire, a division of the Sumitomo Electric Group of Companies, we are proud to offer diverse development opportunities that will help you grow your career. 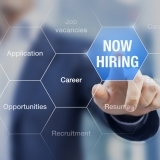 We currently have positions open in Accounting, Engineering, Health Environmental and Safety, Information Technology, Maintenance, Manufacturing, Quality Assurance and Research and Development. Judd Wire continues its forward momentum in Aerospace Fiber Optic Cable development with the qualification to the ARINC 802 Fiber Optic Standard. We are pleased to announce that Mr. Fuminobu Furukawa has joined Judd Wire as Executive Vice President. Mr. Furukawa was most recently the General Manager, Administrative Department, of the SEI Electronic Wire & Polymer Business Unit in Osaka, Japan. His SEI experience includes working in Indonesia, Germany and Thailand. He has also visited 26 countries for business purposes.